Laser technology combined with IPL is a new concept with far greater results & maximum benefits. The SHR method is a revolutionary new solution for permanent hair removal for both men and women. A safe, affordable and effective way to soften lines for a more youthful and refreshed appearance. 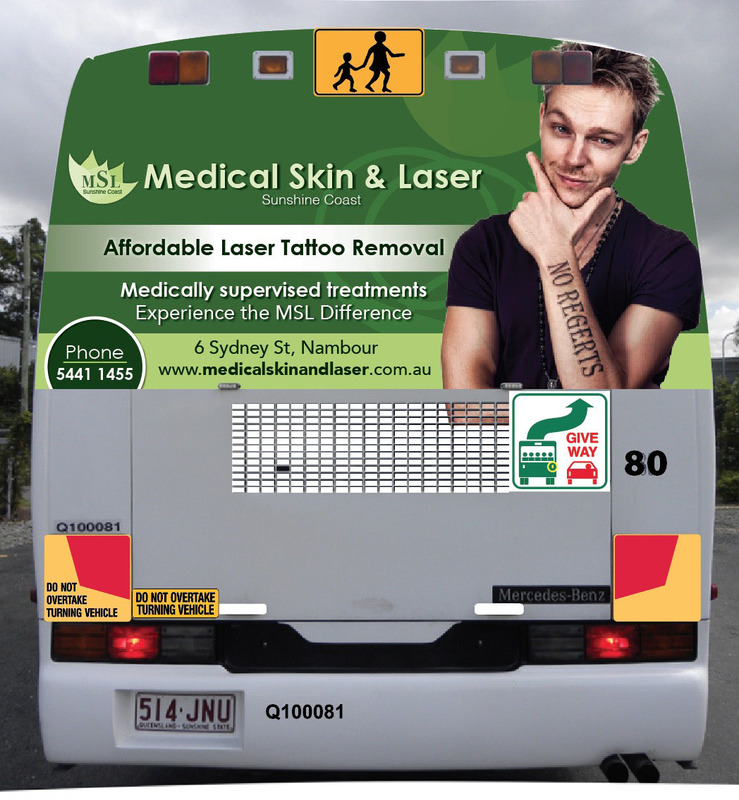 Affordable laser tattoo removal is now available here on the Sunshine Coast! MSL’s friendly medical team will care for your skin using the most advanced, clinically proven treatments including cancer treatments. We offer the latest skin care services for both Men & Women, right here on the Sunshine Coast. We’re pleased to see our signage on the Sunshine Coast buses!